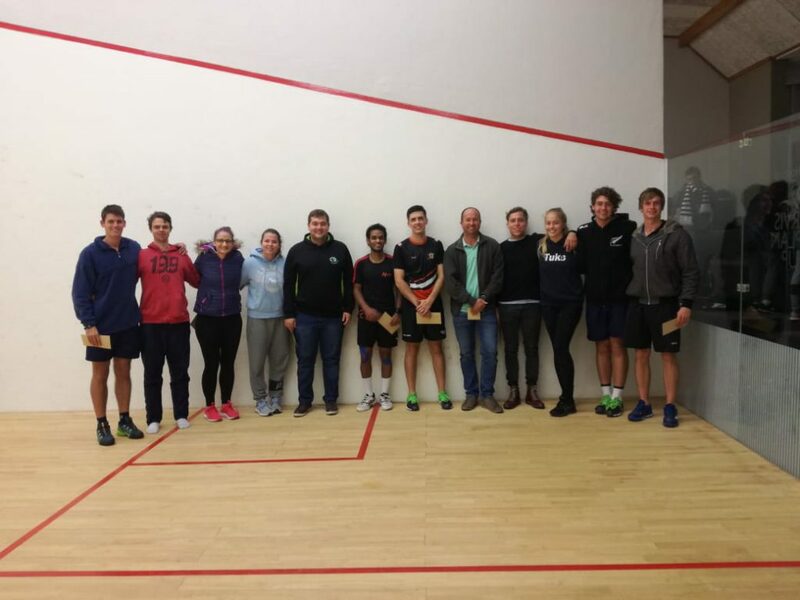 The NSA Closed tournament came to a conclusion on Thursday evening after the biggest field in the past 25 years had played 4 intensive rounds of squash. In all but one section it was the top seed that dominated, with the top 2 in all the finals. Overall there were some major upsets along the way with good performances by the likes of James Terblanche, Wayne Muller and Sven Claassen in the A-section. 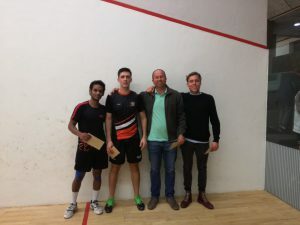 In the men’s A-section final Gary Naidoo fought of a valiant Kyle Maree to take the match 3-1 in 45 minutes. 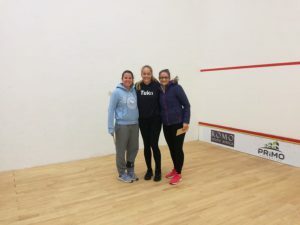 The ladies final was an anti climax as Hannelize Human injured her ankle in the semi-finals and had to concede the match to Christine Ferreira without a ball being hit. The B-section final between Mark Schickerling and Blaine Verhage had the sizable crowd on the edge of their seats with a 55-minute humdinger going Schickerling’s way and a final score of 3-1. The C-section saw the only small upset to the top 2 seedings when Martin Currin who was the second seed beat Johnny Maritz 3-2. 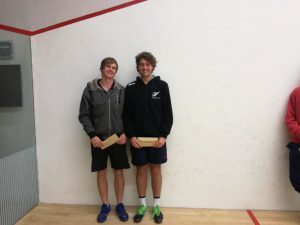 In the D-section Reinhardt Falk beat Leon de Lange 3-1. Gary Naidoo (1), Kyle Maree (2), Craig Ruane (4) and Nell van der Merwe (3) in the A-section. Kim McDonald (3), Hannelize Human (2) and Christine Ferreira (1) in the Ladies section. 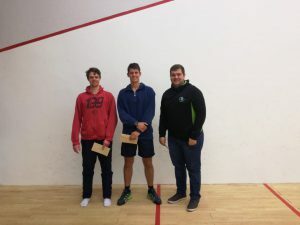 Martin Currin (winner B), Johnny Maritz (runner-up B) and Reinhardt Falk (winner D). Mark Schickerling (1) and Blaine Verhage (2) in the B-section. All the winners at the 2018 NSA Closed. This entry was posted in NSA, Tournaments. Bookmark the permalink.